Lisbet Gutierrez has always enjoyed all aspects of the real estate business. She loves meeting and establishing relationships with people from all walks of life, and helping them with one of the most important decisions they will ever make. Lisbet Gutierrez and her family have lived in the Miami Lakes area for over 20 years. Her approach to real estate is focused around getting to know her clients as people whose company she enjoys and will keep for years to come. Specializing in bring peace of mind to Seller who have previously struggled with selling their homes. With a reputation for placing clients’ needs, goals and objectives at the forefront of every transaction. 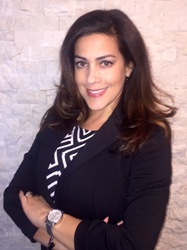 Lisbet Gutierrez provides communication, negotiation and management skills in combination with in-depth knowledge of Miami Lakes neighborhoods and real estate market. Lisbet leads the way with her personal qualities, professional strengths, and skills. She is praised for client satisfaction and effectiveness as counselor, facilitator, and liaison – from property search or listing, through market analysis, to negotiations, escrow and closing. You can rest assured knowing her unsurpassed perseverance, tenacity, and attention to detail will ensure your Miami Lakes real estate transaction closes with ease. Whether you’re a buyer or a seller you can count on her willingness to deliver the results you want. Lisbet Gutierrez is committed to your Hialeah, Miami Lakes, Palm Springs North (PSN) and Miramar residential real estate needs.